Collapsible Multi-Oven Cooker - Med./Lg. Our multi-oven line, Maitre Francais, was designed in France for the serious cook who demands great performance from their cookware. With unsurpassed quality, it was purpose built for dual use in both microwave and regular ovens, up to 450oF, making it extremely versatile. It is the sturdiest silicone cookware available today and best of all, it collapses to about 1/3 of its usable height for storage or serving. Made from 100% non-toxic, food grade silicone it releases no odors or chemicals into food. It is certified BPA and melamine free and has been tested to both US FDA and the much more stringent European food safety standards. Our collection of collapsible cookware is perfect for boaters, sailors, RVer’s, and for almost anyone whose storage space is limited, because it adds versatility, convenience and significant space savings. 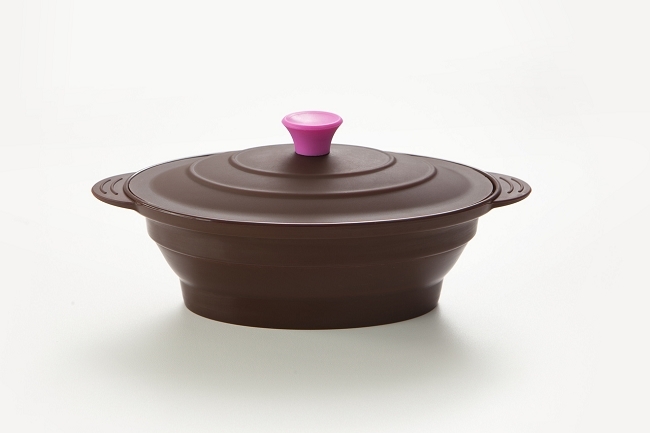 Best of all, it does all that without asking you to compromise how you use your cook top! Like the rest of our collapsible lineup, the Stove Top Collection is designed and manufactured to the highest standards of quality and safety. The full line was created to withstand the rigors of the marine environment and outdoor recreation generally. 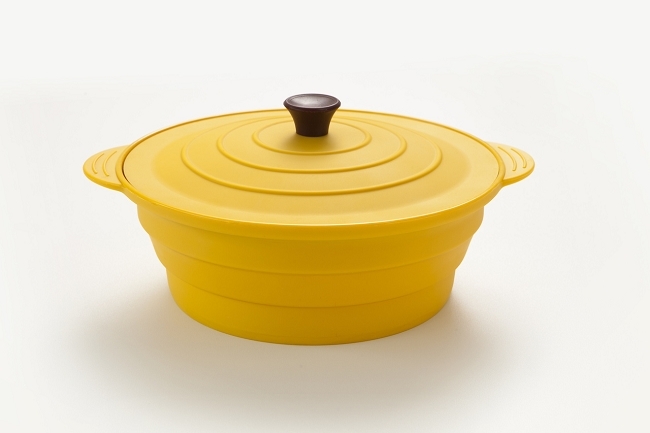 Used the world over by discerning consumers that demand both performance and convenience from their cookware. 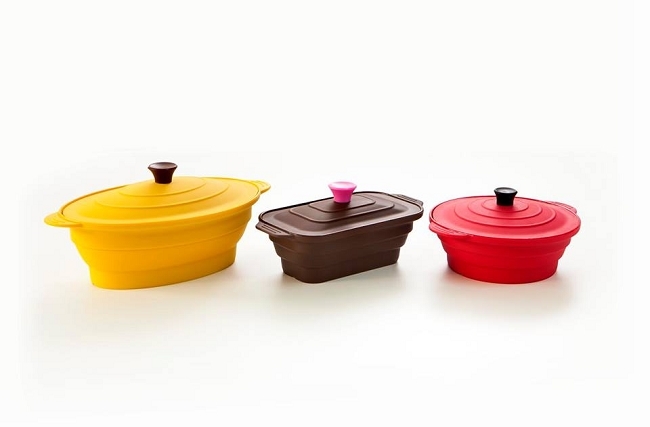 The emphasis on smart design is evident throughout the collection, from the silicone sides that collapse, handles on the cook pots that fold inward to save horizontal space, nesting of the 2 quart and 4 quart cook pots so they fit snugly one within the other. 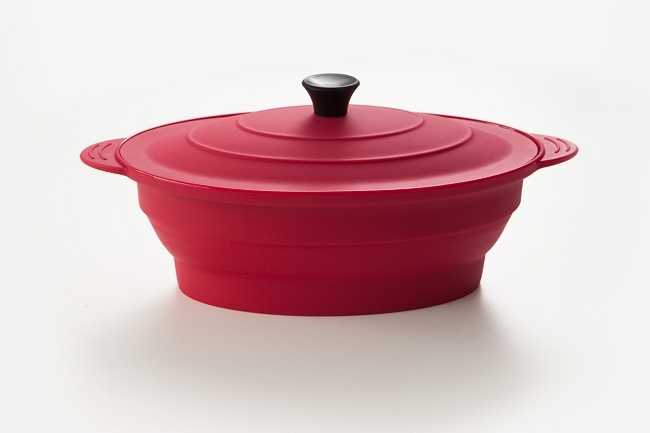 Nesting further reduces height and prevents rattling of cookware when stored. The silicone is also certified melamine free.